Telemundo ranks as the #1 Spanish-language network during Monday-Friday primetime among adults 18-49 continuing its historic winning streak in Spanish-language television for a fifth consecutive week, according to Nielsen. 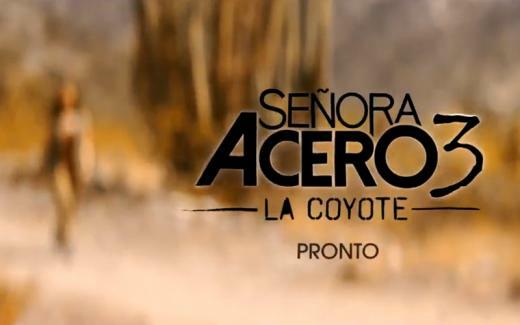 Fueled by the success of its new primetime series – Silvana Sin Lana at 8 p.m., Sin Senos Sí Hay Paraíso at 9 p.m. and Señora Acero 3, La Coyote at 10 p.m., Telemundo delivered 810,000 adults 18-49 and 383,000 adults 18-34. For the week of August 15, and during Monday-Friday 8-11 p.m. primetime across all broadcast and cable networks regardless of language, Telemundo ranked as the #2 network among adults 18-34 beating ABC, CBS, FOX and Univision. The network also ranked #3 among adults 18-49 regardless of language, beating ABC, FOX and Univision. For over a year, Telemundo has been the #1 Spanish-language network at 10pm, driven by the Telemundo Super Series™-- El Senor de Los Cielos and Señora Acero, among adults 18-49 and adults 18-34. Source: Nielsen, NPM, L+SD. A18-34 (000) and A18-49 (000). 5 WKS (7/18/16-8/19/16). #1 SLTV net rank based on M-F 7-11pm. Regardless of language ranker based on M-F 8p-11p. Strict dayparts used.